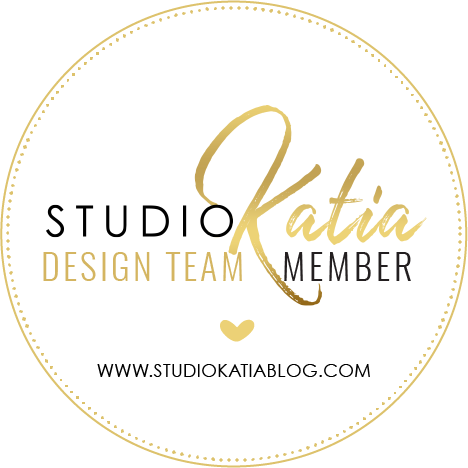 You must be here from Kristina Werner's blog. 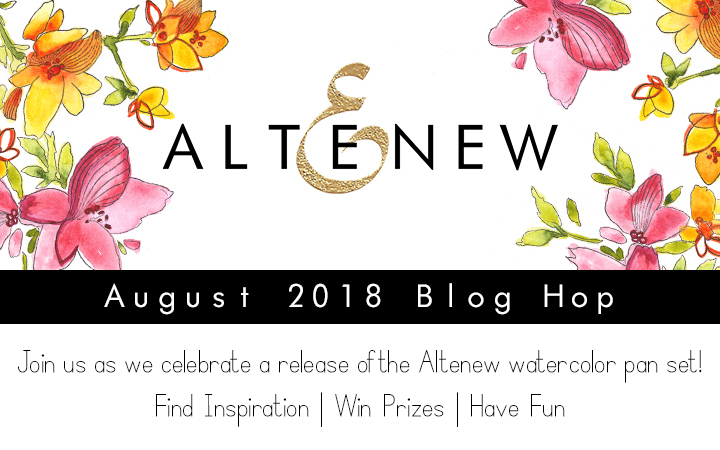 Welcome to the Altenew Watercolour Release. Whats being released today you ask? The projects that I will share today focus on the watercolours alone. I didn't use any stamp set. I thought it's best if I create scenes with watercolours to show off the colours better. Though I am no artist, but I had fun creating these. The second one is also created from scratch. How beautiful are these shades! I hope you liked what I shared. I will also be picking out a winner from the comments for a $30 gift certificate to the Altenew store. Winner will be announced on 8/15/2018. The next stop on the hop is Lisa Spangler. Before you leave, you might want to check this out! I love your color combinations. I can't wait to order Altenews watercolor. Beautiful watercolors on your lovely cards! Your scenes are simply stunning!! Gorgeous. The beach scene is wonderful. And the moon, well, it looks like a lot of love went into it :) Just kidding, it is actually great- the real moon isn't a perfect sphere anyway and has a ton of bumpy craters! Thanks for the opportunity to win! Love the nightone, so pretty! The colors around your palm tree are amazing! Beautiful scenes! As always, you are beautiful in water coloring! Erum, your water coloring is amazing... those backgrounds are fantastic! Especially love the sunset card with the silhouette image! So, so pretty! Beautiful technique. Love your watercoloring. Wow, the background for the palm tree is gorgeous! I love your creations! Your color combos are perfect! Both your pieces are just amazing. Love these bold and vibrant colors. Wow, beautiful! This is an exciting release! Absolutely stunning. Need not say more. Just stunning. The scenes you created with the new watercolors are awesome. Great cards and I can see how well the colors blended very well together. The colors are rich and vibrant, beautiful work. I am anxious to try these paints. Wow! Extremely vibrant scene cards! I just ordered these watercolors and can't wait to use them. As with your scenes, sometime it's fun to jump right in and see what one can create! Erum, your creativity is amazing. It is especially highlighted in the scenes you painted with this new watercolor set. They are gorgeous! Your work also helped me to see beyond just using these with Altenew stamps. I appreciate the inspiration that your work gives me. Thank you! Beautiful paintings! Love your wobbly moon~~ ^^ it has a children's book feel. You have created some really beautiful scenes, Erum! The colors are so fresh and bright, and I LOVE how you created the night sky! Really, really pretty! Love these new watercolors! And I love both of the skies that you did! They're both beautiful! Wow, your talent is wonderful. Great cards. Beautiful paintings! These water colors look so lovely! I really like both of these cards, and the tropical scene is beautiful! The vibrancy of the Altenew colors are amazing . Love your work Erum. Love, love the bold colours you have shown in these beautiful scenes! So vibrant colors, i loved this set so much! These scenes are amazing! Oh I'd like to try these watercolors! beautiful! I was just looking for 'sky' inspiration! E.T., I don't think your moon is wobbly. I think it looks great! Also love the colors on your moon card. Palm tree painting is great too! So vibrant and warm while the moon card is cool andh I wish I were there; in the coolness. I live in the desert and it is 118 degrees here! Thanks for the inspiration! Beautiful creations, Erum! Love the night sky your created with the first one. The watercolors are just fabulous. Your colors are very interesting. I love your sunrise/sunset? scene. It is stunning. I am not a person who uses watercolors, but would love to give these a try. these two cards are wonderful, Erum - so different from your usual gorgeous flowers! Beautiful cards Erum! No stamps...you are truly talented. 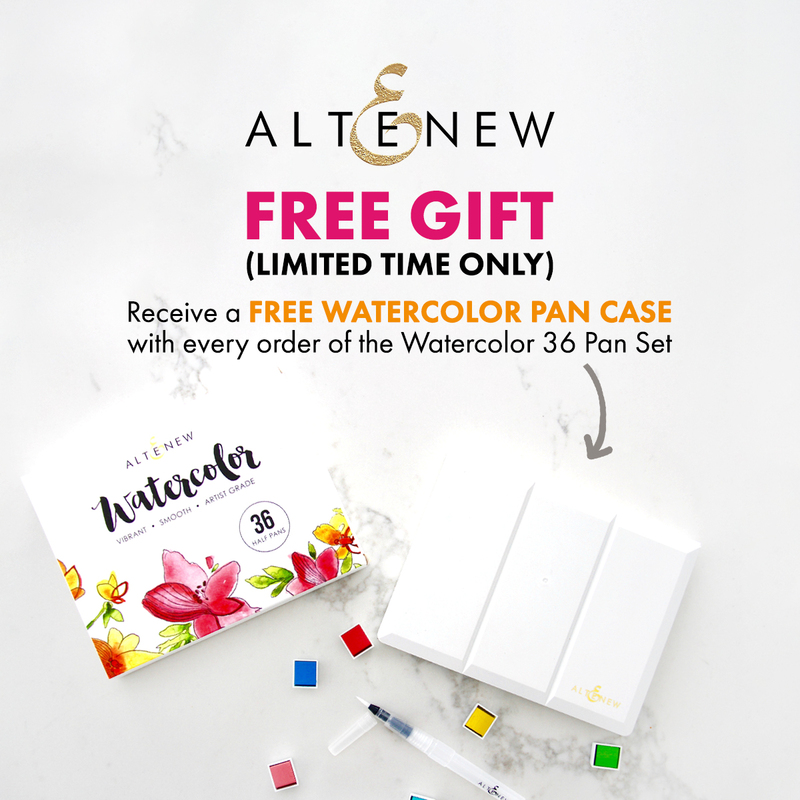 I love this Altenew water colour set. Beautiful showcase of the water colors! Love your cards, Erum especially the sunset one. Thanks for sharing and the chance to win a prize. Well I hope I can be childlike and create and paint like you have done so beautifully!! Wonderful colors and cards! Can’t wAit to try! Really love your stary night background! Beautiful sunset sky with the palm silhouette. These colors are gorgeous! Love the first card . Love all the altenew products , this is a must have . These are awesome and you made them from scratch that too no stamping .. mind-blowing !! I love your cards. I love the look of water colors. Such beautiful cards and watercolors! I love these. These are gorgeous Erum and the sunset is simply stunning. I thought I didn't need any more watercolors but after seeing these and your paintings they are in my cart! Thank you for the beautiful inspiration! Love the backgrounds, inspiring me to try something new! The night sky scene you created is so beautiful. 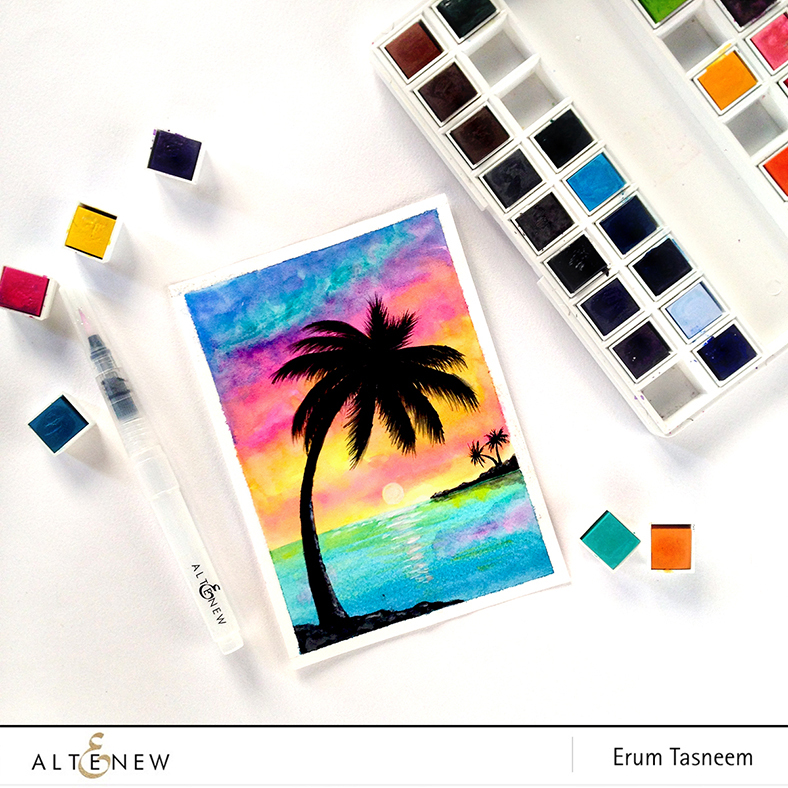 I really like the shades the new Altenew watercolors shown in the silhouette palm tree sunset are beautiful. The watercolor pan selection looks fabulous. Thank you for sharing your cards. Wow! The colors are amazing...so vibrant! I love the sunset. TFS! Your art is always lovely, Erum, and I am inspired by it! Your projects are so awesome, especially this one with the palm tree. Love the vibrant colors. The night at background is gorgeous. Gorgeous! Amazing vibrant colors. These paints are a must have! Absolutely stunning paintings! Loved them, thank you so much for inspiring. JUST WOW! What vivid scenes you created!!!! So impressed! Can I be you when I grow up? Your paintings are STUNNING!!! beautiful colors in the set and beautiful cards. Such vibrant colors. Lovely cards. Really beautiful cards, and the watercolors are gorgeous! I like the size, too. I think you ARE an artist!! Erum, I would "beg to differ" about you not being an artist... you ARE in my books! However, these are gorgeous for 'free-handing' with w/c. So excited to see Altenew expanding to water colours...EEEEK! Truely stunning öne of my favourite ceres iş the hand doodled and painted ceres it give it more derim touches.. and your scene is so warm and pretty . I love the night scene. Great job. Stunning scenes, love the colors you chose! 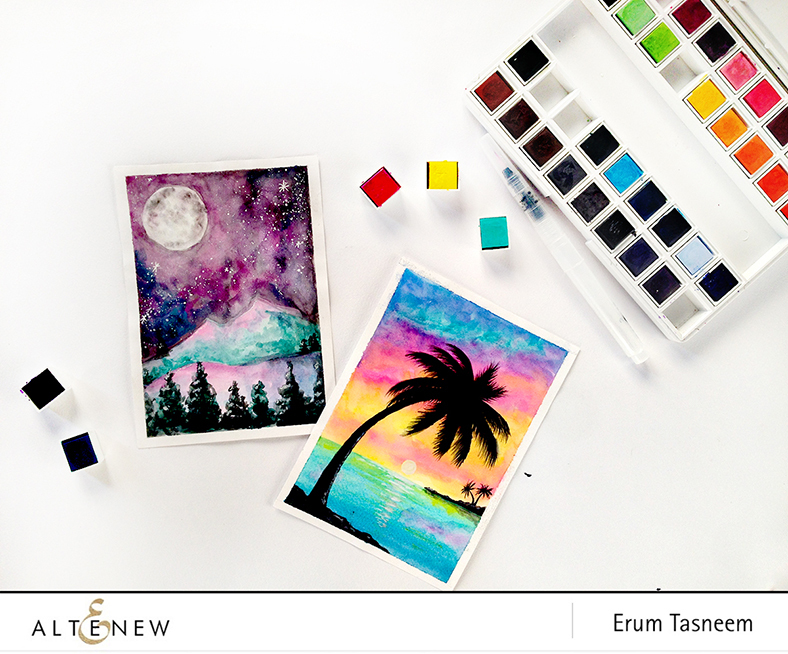 LOOOOVE your dreamy tropical scene Erum! it showcases the new paints wonderfully! Your paintings are so pretty! Thanks for the ideas. These are gorgeous. Thank you for sharing your talent and techniques. 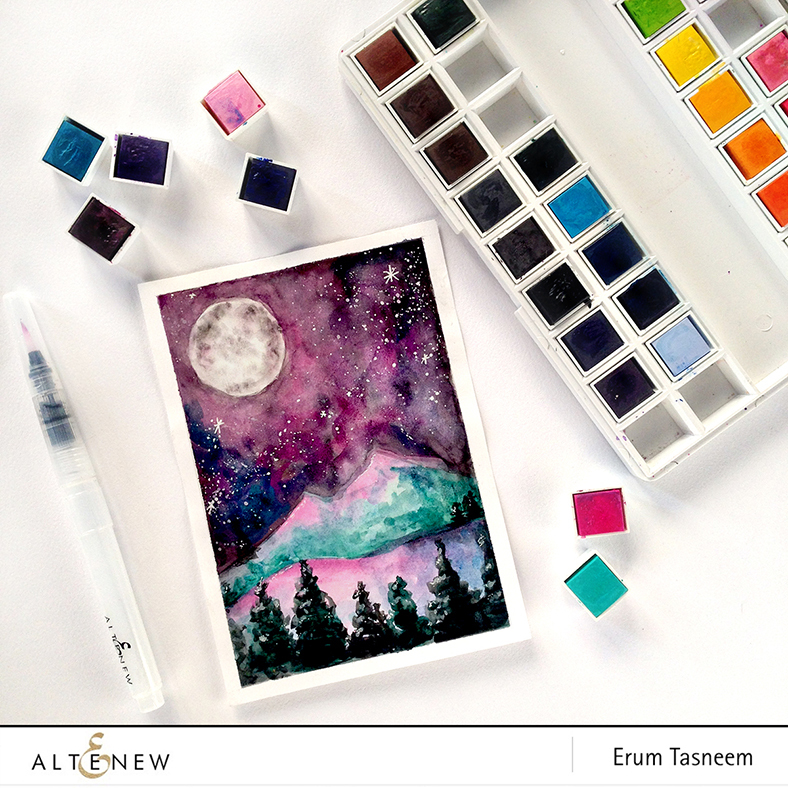 Your beautiful cards show the brightness of these beautiful Altenew water colours. Both examples look amazing. The palm tree picture is the best I think. I love your watercoloring. So beautiful and vibrant! Well done, these are lovely paintings. I’m so excited for this release. I cannot stop looking at these two gorgeous card, Erum! I absolutely adore both of them, but the night scene is my fave. Such gorgeous paintings...thanks for the inspiration! Beautiful work of art cards! I love the beach with palm trees and the wobbly moon is so pretty over the mountains. Your water coloring is amazing! Stunning colors, Erum~ I especially love the sunset scene and the wobbly (LOL) moon in the first! You are definitely an ARTIST!!! Beautiful projects! those backgrounds are absolutely stunning! Great watercolor scenes! You're much more of an artist than you give yourself credit for! I love that night sky! These cards are beautiful..love the palm tree beach scene!! Erum, thank you for sharing such beautiful inspiration! You sure inspired me using this beautiful Altenew watercolour set. Your cards are great. I especially like your "Wobbly Moon." The trees down in front appear to be watching the light show in the sky. So cool. Oh, my! The colors you used are stunning! I have been waiting for the water colors since I saw them at Creativation. I have several nice sets of water colors. But none have the bright, vivid colors you have. I ordered them the first day they went on sale. I can't wait tottery them. Just look at the colors in your tropical card. Wow! Wow these scenes are stunning. They truly highlight all the beautiful vibrant watercolors in the set! I can’t believe you used 0 stamping, thanks for sharing! Absolutely stunning backgrounds! Love the colors! Amazing! As always E.T. Your cards are stunning, love the gorgeous colors, the pretty and practical case and brushes!! Thanks for all you share! Loved seeing your color combinations. Looking forward in having a go with these lovely watercolors and compare them to my professional watercolors as they look very pigmented. Love the new watercolors! Can't wait to try them out. Amazing scenes! I love your wobbly moon. So Nice color combinations. I need to buy the set and see if I can make a wobbly moon. The coloring on the card is so artsy and beautiful! These paintings are beautiful...you ARE an artist! 😊 Can't wait to try the new water colors! Are you kidding me! You are an AMAZING ARTIST! these 2 water color scenes are absolutely gorgeous! Yes, thank you, I did enjoy your work. I love the way the colors work together--so rich in both, but very different at the same time. And I disagree...you are an artist! Beautiful! Thank you. What a great way to showcase these new watercolors! The tropical scene is stunning and shows how truly vibrant these watercolors are. I can't wait to try them. Your cards are very inspiring and very beautiful! The colors are clean, with the subject matter practically jumping off the page it is so beautiful! Wow! I love the colors! Love the palm tree scene! Love how you experiment with so many styles. The water colours look amazing and I love your wonky moon. Love how these watercolours can create such vivid scenes. This palette looks so yammy, and the scenes you created with it are fabulous, great colours in the fun palette to, totally up my alley! Thanks for sharing your inspiration! Great cards--very pretty colors in this palette!!! I'm a tropical girl, so especially love the card with the palm tree. Your paintings are fantastic and love your color choices on both of them! Love your cards! The colors are so vibrant in these watercolors! Wow! These are truly gorgeous...you did an amazing job and the colors are beautiful and vibrant! The colors are gorgeous and I don't see anything but beautiful scenes! Truly stunning cards! A talent like yours does not really need stamps to create masterpieces with these beautiful new watercolors. I do need them though so I appreciate all of Altenew's wonderful stamps! TFS. Wow, absolutely gorgeous! So much talent - your scenes are spectacular! Love your cards!! Thanks for all your inspiration. Wanting to explore watercolor backgrounds like the one on your tropical card - absolutely beautiful! Can’t wait to try these out - the colors look so pigmented! Lovely cards! I can't choose between the cards! I think the night sky must have been a challenge;it will be for me, when I gt a chance to try it. Beautiful cards! And thanks for the giveaway. Those are some gorgeous backgrounds!! These watercolors are going to be very versatile!! Wonderful vibrant colors. I love what you did with them. Amazing, gorgeous backgrounds. Beautiful cards. These are beautiful!! You are definitely an artist! I just love all of your projects. the color pan is awesome. I love your cards and the watercolor set is a great idea with half pans! Thanks Altenew! Beautiful work! and wonderful colors. Can't wait to try them out. So happy to see this new watercolor set! Colors look bold and rich! Can't wait to try them. Love that palm tree!! Both so beautiful!!! The watercolors do look fabulous! I've been wanting a watercolor set but haven't found one I really liked. This has a great selection and replaceable pans - I think it's a keeper! Pretty cards! These paints look like so much fun! Your scenes are beautiful! I love the palm tree!! Terrific cards! Lovely scenes and beautiful backgrounds. Ooohh, i love real projects, the colors are so vibrant!! What beautiful backgrounds. The colors are so vibrant which you don't usually see with watercolors. Absolutely beautiful. These are both beautiful. Such lovely colours. Gorgeous scenes! These watercolors look amazing! So pretty. Such an interesting use of the color black! I love it. Beautiful cards! Vibrant & rich colors...love! Fantastic, you've got this fab talent to paint from scratch, defiantly need stamps or there are endless possibilities for me to have a disaster lol. Thanks for your information. Wow! Such gorgeous colours and beautiful backgrounds! Wow!! The scenes are stunning!! I wish I could watercolor like that!! Awesome release! Beautiful projects! I especially love the night sky scene! Awesome painting. I cannot do freehand, I can only follow stamps and even better if they have embossing to guide me. Well done! The watercolors are so vibrant ! They make beautiful paintings. Love your starry night sky. Can't wait to play with my watercolors. Beautiful water coloring, I love both of your scenes. Love your wobbly. Moon -- the colors are so mysterious and rich! Lovely. Love your wobbly moi. and the dark kind of mysterious colors you used. Awesome colrs. Thanks for the inspiration. These are both beautiful! You don't need any stamps with your talent! Gorgeous! Love the purple in the sky! You did these without a stamp? Amazing, I love them. And yes the colors a marvelous. Wow! The scenes you created are so gorgeous. You really showcase the watercolors in a beautiful way. Erum, your paintings are fantastic. You definitely are an artist. Your original art work is amazing. Wobbly moon, haha. Beautiful moon, YES. Gorgeous, gorgeous, gorgeous! I have already ordered my watercolor paints and cant wait to use them. Thank you for the extra gift!